The 1.1 rules are now complete and I just noticed I started version v1 work back in June 2010, with a release of version 1 about a year after in the summer of 2011. 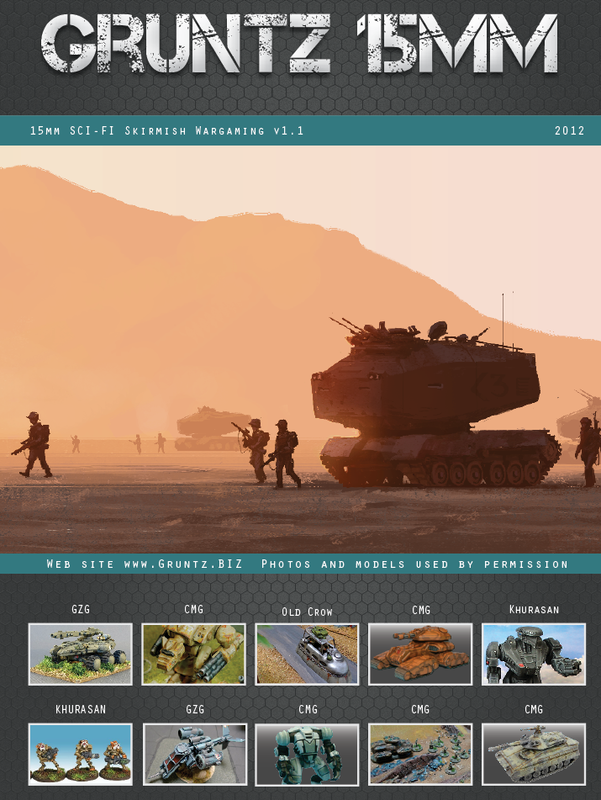 This update does not change the core rules developed for v1 but it does have many revisions and tweaks, adjusted due to feedback from players on the forum and various good friends that have helped at convention games and other events. I finished writing at 21:34 on Tuesday 2nd October. So with a fair wind and rapid print proof I should have everything rolling out and ready for players in the next two-three weeks. The files have been uploaded to the printers (The Adobe Indesign master document is now over 600MB in size) to confirm everything is correctly formatted for a proof print out. The page count has jumped form 88 to 136 pages with lots of interesting new content in addition to the clarifications and adjusted points builders. I adjusted the front cover very slightly, with an enhanced grey hex background and a subtle change to the blue. As stated before this 1.1. 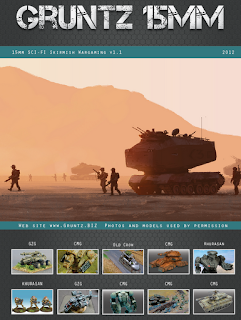 PDF release will be issued for free to current owners of the v1.0 rules. So there is no additional cost for people that already own the first issue of the rules. I am hoping that the playtesting and player feedback over the last year is enough to make 1.1 a stronger set of rules to use as a "toolkit" for science fiction gaming. 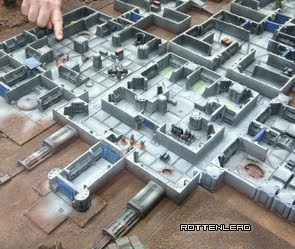 One area of the rules which had a lot of attention were the unit builders. 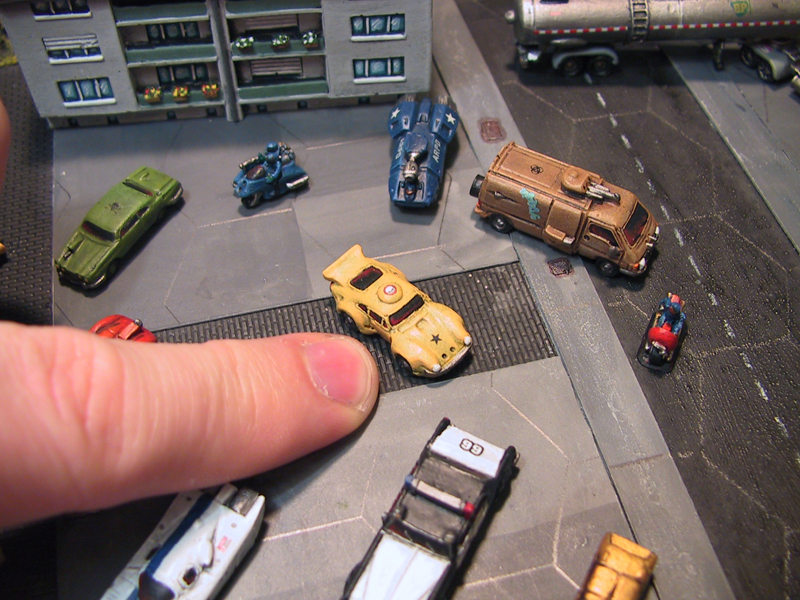 These allow you to pick up any sci-fi model from current miniature providers and design your own hull size, weapons payload, mobility type and troop or vehicle transport. The big super heavy types are now also in which allow you to bring in dropships carrying tanks or support vehicles. Some of the unit builder changes were more subtle, with a split between field artillery and mobile artillery. Specialist supporting units are now also split between vehicle specialists and Gruntz specialists, which allow you to create mini walkers, droids, speeder bikes, medics, engineers and anything else in the range of SCI-FI esoteric technology. 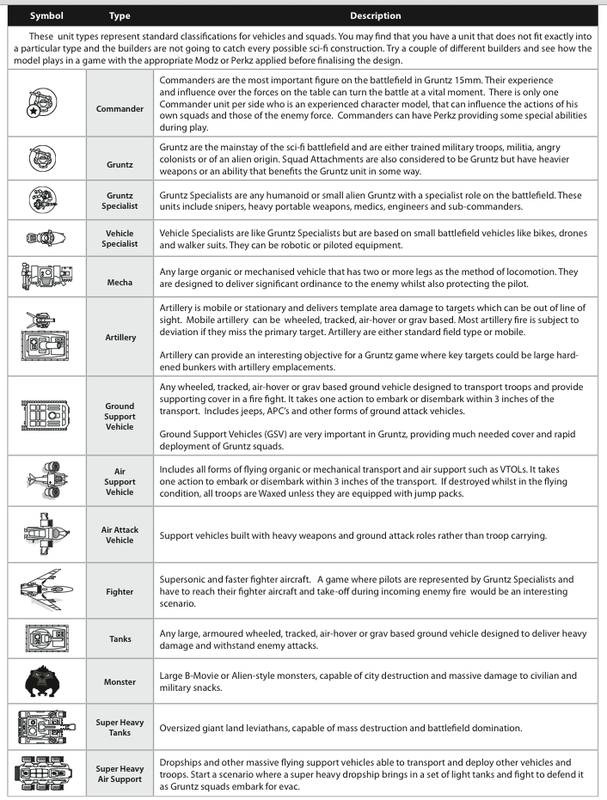 Mecha unit types are now able to be upgraded with transformation to flight mode or ground vehicle mode. They can also take both modifications for the ultimate converting vehicle with an increase in the points cost. 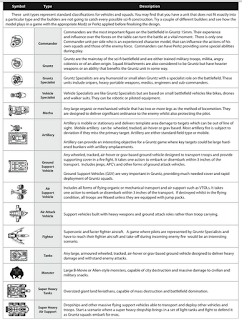 You can see the list of unit types in the following image. More news soon as I have the first hard copy in my hands and will be pushing the button to issue the back orders to supports of the Indiegogo project. Thanks for putting in all the hard work to make a great game even better. Like the man said, "... in the next two-three weeks ..."
Erm......awful quiet round these parts :) Any update on the release of the rules PDF?